The Aerocell SRW bridges the gap between cargo vans and cube vans. 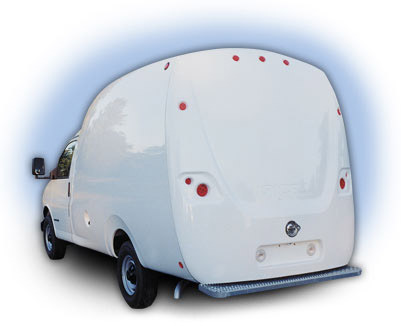 Designed exclusively for the tough, dependable, comfortable and stylish single rear wheel cutaway chassis, this van body offers all of the same benefits as the original Aerocell: one piece molded fiberglass construction, seamless and glossy gel coat exterior, and aerodynamic styling. 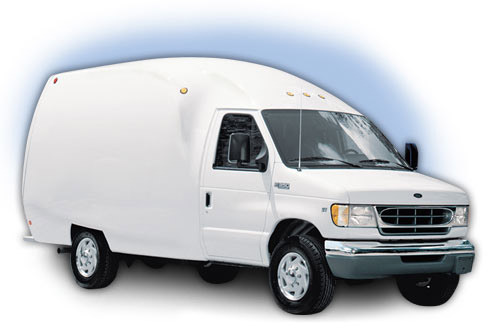 The completed vehicle has the extra height and capacity cargo vans lack, as well as the aesthetics, drivability and convenience missing from most cube vans. The standard package size of the competitively priced SRW makes ordering simple. And all Unicell bodies are backed by a five year limited warranty.